Is Matcha Healthier Than Green Tea? You’ve likely heard of matcha tea — those bright green, frothy lattes that are popping up on every cafe menu across the world. But do you know all the ways matcha benefits your health? Matcha powder may help you lose weight, improve cognitive function, and increase your energy levels[*][*][*]. Whether you’ve tried matcha before or are totally new to the idea, it’s time to get to know this emerald green tea and why it’s considered a superfood. Matcha is a type of green tea made by grinding young tea leaves into a bright, emerald green powder. Most people prepare matcha by whisking the powder with hot water or milk to make a frothy green, creamy beverage with a laundry list of health benefits. This is different than regular infused green tea, where you steep the leaves in hot water for 3-5 minutes, then remove them. When it comes to the actual tea, most tea leaves come from the same plant – the Camellia sinensis plant. However, matcha and normal green tea are picked and processed differently, which leads to different benefits. Yes, most tea comes from the same plant, but green tea leaves are picked and dried for shorter periods than black tea, for example. Not only are matcha leave picked and dried earlier than most other teas, but they’re also shade-grown for the final two weeks of their growth cycle to boost chlorophyll levels. Chlorophyll is the bright green pigment you see in tea plants and other greenery that helps them turn sunlight into energy. If you keep matcha powder away from sunlight and air, the chlorophyll stays intact and it will keep its bright green color. This harvesting and processing technique is said to have started in China by a Buddhist monk, but the Japanese perfected it, making it a huge part of traditional Japanese tea ceremonies. Traditionally, only royals and samurai would be able to drink matcha green tea, since the process requires so much more labor and resources. Did ancient cultures know that matcha was worth the extra effort and money? Maybe, maybe not. But we do now. Here’s how matcha stands up against regular green tea. Matcha contains up to 137 times more antioxidants than low-quality steeped green tea, and up to three times the antioxidants of a higher-quality tea[*]. It makes sense — matcha is much more concentrated, so it contains more of the active compounds (catechins) per gram than steeped tea leaves. When you make a typical cup of green tea, you steep the leaves in hot water and then discard them before drinking. With matcha powder, on the other hand, you mixed the ground tea leaves with hot water or milk until it forms a frothy beverage, kind of like hot cocoa mix. That’s why you only get a fraction of the antioxidants and other benefits when you steep your tea, as opposed to consuming the entire powdered matcha leaves. And matcha contains more than antioxidants. Read on to learn all the benefits of this fragrant green tea. Green tea contains compounds that may help protect your body from a variety of disease including cancer, obesity, type 2 diabetes, heart disease, and certain neurodegenerative disorders[*]. Read on for all the details behind the main benefits of matcha. Green tea and other dark or brightly colored fruits and vegetables contain antioxidants that help protect your cells from harmful free radical damage. Free radicals are an unavoidable part of life, but exacerbated by pollution, a poor diet, and stress. Free radicals don’t just damage your cells; they also prevent your cells from repairing themselves. This is bad news for your immune system and can cause inflammation and disease down the line. Research shows that 60% of matcha is made of one specific antioxidant called epigallocatechin gallate (EGCG), which may boost T-cell production to reduce inflammation and fight pathogens[*]. With 137x more EGCG than what you’ll find in standard green tea, matcha has one of the highest concentrations of antioxidants found in all fruits and veggies[*]. The high levels of antioxidants in matcha powder are so strong, that they may do a better job shielding free radical damage and enhancing your immune system than other popular antioxidants like vitamin C and vitamin E[*]. Antioxidants also lower inflammation and may even help protect against cancer[*]. A solid green tea habit is heavily associated with lower cancer risks. Antioxidants in matcha green tea are known to stop cancerous cells from growing and even kill off existing cancerous cells[*]. 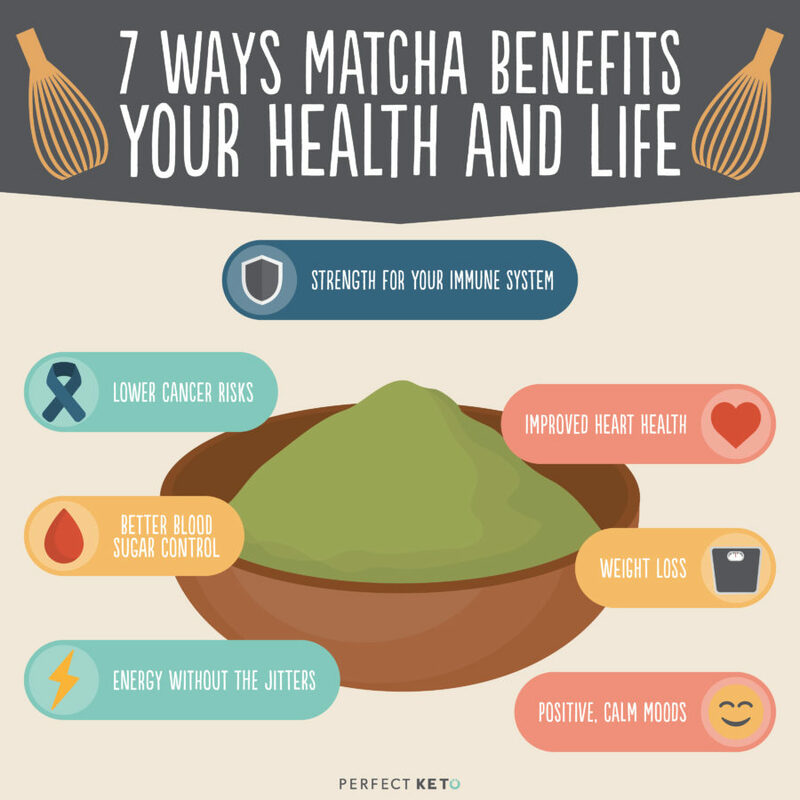 Matcha may also be able to stop breast cancer stem cells from multiplying, according to one study[*]. In an epidemiological study, researchers found that women were less likely to get bladder cancer if they regularly included matcha green tea in their diet[*]. And regularly drinking green tea also lowered the risk of endometrial cancer and colorectal cancer[*][*]. Plus, when patients with ovarian cancer drank green tea, their survival rates were much higher than those who did not[*]. Antioxidants in green tea are well-known for their cancer-preventing benefits. But what about heart disease? High blood pressure and high cholesterol are two major risk factors for heart disease and strokes. In one study, those who reported drinking the most green tea had a 26% lower chance of having coronary artery disease than people who said they drank the least[*]. And regular oolong and green tea drinkers in China had a 46-65% lower risk of high blood pressure than non-tea drinkers in another survey[*]. In another rat study, researchers looked at the effects of matcha on a high-fat diet. Rats given higher concentrations of matcha showed a “significant decrease” in total cholesterol and triglyceride levels and elevated high-density lipoprotein-cholesterol (HDL-C) levels[*]. The rats feeding on matcha also significantly lowered their blood sugar levels, which is essential for reducing inflammation and preventing disease. If you have high blood sugar levels or type 2 diabetes, the right combination of exercise and low-carb living may help you manage your symptoms and may even help reverse your symptoms. That’s because matcha has been shown to lower blood sugar levels and may prevent blood glucose from spiking altogether. Researchers in Japan found that those who drink green tea or coffee have a lower risk of developing diabetes than those who sip black and oolong tea[*]. Studies also suggest drinking green tea lowers fasting glucose and A1c numbers, which then creates a “significant” decrease in fasting insulin concentrations[*]. 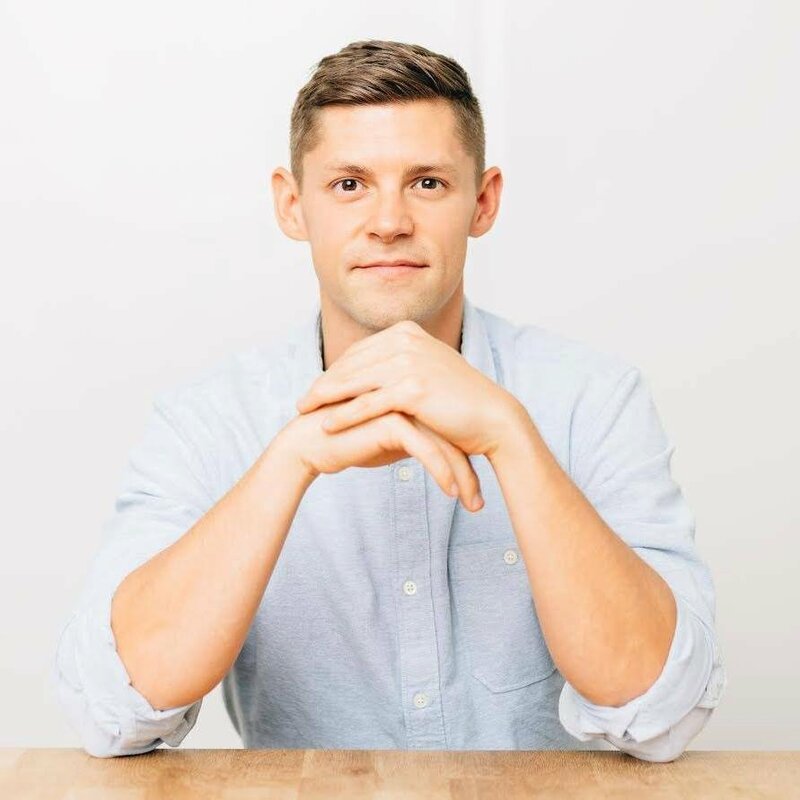 When your blood sugar comes down and you’re less insulin resistant, you’ll have an easier time losing weight (which will also lower your blood sugar levels and increase insulin sensitivity). But can matcha actually help you lose weight? Green tea contains EGCG and caffeine, a powerful duo to boost your metabolism, increase fat burning, and prevent new fat cells from forming. When 60 obese adults started drinking green tea, they not only lost more weight but experienced an increase in calorie burning[*]. The more calories you burn, the easier it is to create a caloric deficit and drop unwanted fat. This was corroborated in another study in healthy women. The data showed that when you combine matcha tea consumption with mild exercise (in this case, brisk walking), you may experience more exercise-induced fat burning with the matcha than without[*]. In another trial, healthy men were divided into two groups with similar BMI and waist circumferences. These green-tea-drinking men also saw greater positive changes in their LDL cholesterol. While caffeine is a known to boost your metabolism and energy levels, drinking coffee may put you on edge or make you anxious if you’re sensitive to caffeine. Matcha doesn’t share this side effect. A serving of matcha contains 70mg of caffeine, or about 50-75% of the caffeine you’ll find in a cup of coffee[*]. That’s about three times the caffeine you’ll find in traditionally steeped green tea because you’re consuming the entire tea leaf. This healthy dose of caffeine is not enough to cause adverse side effects like anxiety or a subsequent crash in most people. Matcha — and all green tea, for that matter — also contains L-theanine, a naturally calming amino acid that counteracts the jittery feeling you get from most caffeinated beverages. Still, you’ll want to limit matcha if you’re pregnant, giving it to children, or drinking it too close to bedtime due to the caffeine content. Want even more of an energy boost from your matcha? Make it keto by adding some MCT oil or MCT oil powder. MCTs are fatty acids that your body uses quickly and efficiently as fuel. MCTs will get right to work boosting your focus, curbing your appetite, and maintaining your energy levels despite matcha having less caffeine than coffee. What’s even better is the calm concentration you’ll score after drinking matcha. Buddhist monks favored matcha because it enhances mental alertness and lets you focus in a calm, meditative state of mind[*][*]. This may be due to the mighty combination of caffeine and L-theanine naturally found in matcha powder. L-theanine is an amino acid recognized for its ability to promote serene, alert feelings without drowsiness. And since sunlight lowers the L-theanine content in tea leaves, shade-grown matcha contains as much as five times the L-theanine you’ll find in green and black tea. L-theanine, when combined with caffeine, curbs the typical downfalls of coffee while promoting a positive mood and a state of mental relaxation, which leads to better mental performance[*]. L-theanine also increases mood-boosting neurotransmitters like dopamine, serotonin, and GABA in your brain, which is great if you’re suffering from anxiety or depression[*]. As you can see, it’s hard to find a reason not to drink matcha every day. But like all things food and nutrition, not all matcha tea is created equal. Source the highest-quality tea for the best results. To get all the matcha benefits highlighted in these studies, you’ll need to buy the best matcha green tea powder and know how to make it like a pro. You can buy matcha powder at your local grocery or health food store, neighborhood coffee spot, and online via Amazon or the Perfect Keto Shop. Because you’re going to consume the entire leaf, you want to purchase the highest quality matcha powder you can find. This may make matcha more expensive than other teas you’re used to, but it’s totally worth it. Tip #1: Only buy “ceremonial grade” matcha powder, which is the highest grade tea leaves you can buy. Tip #2: Check the ingredients list. Many commercial matcha powders contain powdered milk or added sugars or flavors, ranking your matcha much lower on the health scale. Look for matcha powders with only the best ingredients and sweeteners that won’t spike your blood sugar like stevia or monk fruit. Tip #3: Choose organic and non-GMO options. Again, since you’re ingesting the leaves, you don’t want pesticides or other harmful toxins to make their way inside your body. Tip #4: Know where your matcha powder comes from. Tea leaves grown in China, India, or Pakistan may contain higher concentrations of pesticides and lead than those grown in Japan. A buildup of these chemicals and heavy metals can cause serious health issues. When Greenpeace tested 18 random green tea samples from the largest tea sellers in China, they discovered 12 globally-banned pesticides. A staggering 14 of those samples had a type of pesticide that’s known to affect fertility, harm unborn children, and cause heritable genetic damage[*]. Japanese ceremonial matcha is governed with much tighter rules on pesticides, which is also why they tend to be more expensive (and healthier) than those from China. Tip #5: Skip the tea bags. Tea bags may seem easier to work with or throw in your travel bag, but you won’t get the same health benefits. Opt for whole-leaf matcha powder for the most antioxidants and other health-promoting compounds. To take your matcha on-the-go, check out single serve packs you can whip up anywhere. Matcha has a very distinct flavor some describe as grassy, earthy, and similar to shots of wheatgrass. Traditionally brewed matcha tea starts by using a bamboo spoon called a shashaku to measure the right amount of powdered tea. The matcha powder is then mixed with hot water using a bamboo whisk (called a chasen) until it’s combined and frothy. The tea is also poured into bowls to drink from with both hands, not sipped from mugs. No shashaku or chasen handy at home? No problem. Another option is to whip your tea with a metal whisk or combine the matcha powder and liquid in a blender to save yourself some time. To make a comforting matcha latte at home, simply add one cup of warm unsweetened almond milk or coconut milk and one scoop of matcha powder to a blender and mix until smooth. You can also make an iced matcha green tea latte by switching to cold almond or coconut milk and pouring over ice in a chilled cup. If you like your matcha lattes sweetened like coffee shop versions, feel free to add keto sweeteners like monk fruit or stevia. Matcha lattes aren’t the only healthy treat you can make with matcha powder. There are dozens of delicious recipes that highlight the unique flavor of high-quality matcha tea. If you really dig the flavor and health benefits of matcha, you can add the powder to keto recipes like smoothies, baked goods, and keto fat bombs. No matter which ways you incorporate matcha into your keto diet, you’ll be doing a major solid for your brain and your health. Again, since you’re going to be consuming the whole green tea leaf in powder form, it’s essential to get the best quality matcha powder available. This public service announcement will protect your body from lesser quality matchas full of toxic pesticides, added sugars, and questionable fillers. Perfect Keto Matcha MCT Oil Powder comes in a tub with 20 servings and in single-serve five packs for on-the-go matcha lattes while you’re at work, commuting, or traveling. You won’t find any fillers, sugars, or fiber additives; just ceremonial-grade Japanese matcha, MCT fatty acids from coconuts, and a hint of stevia leaf for the perfect keto latte. From boosting your immunity to promoting good vibes, matcha powder is a versatile superfood you’ll want to stock in your keto pantry all the time.